I found these sweet little buttons on a trip to Toyko last year. The shop I bought them from & Stripe (which I'll be posting about very soon) is in a quiet little back street in Nakameguro, one of my favourite areas in Tokyo. 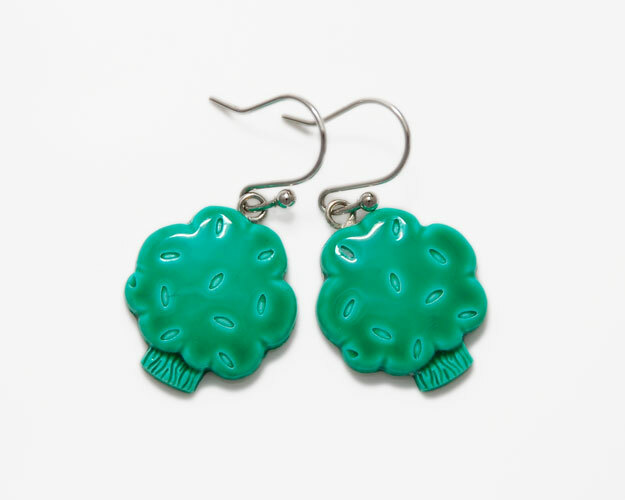 These little tree buttons remind me so much of broccoli florets, hence the name broccoli trees! 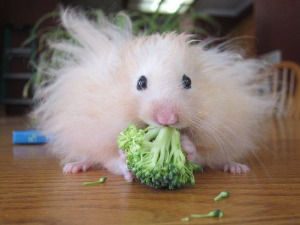 I also happen to LOVE broccoli - my all time favourite vegetable - at least as much as this hamster does!!! These buttons came in many bright colours but I chose the leaf green and lime green ones. 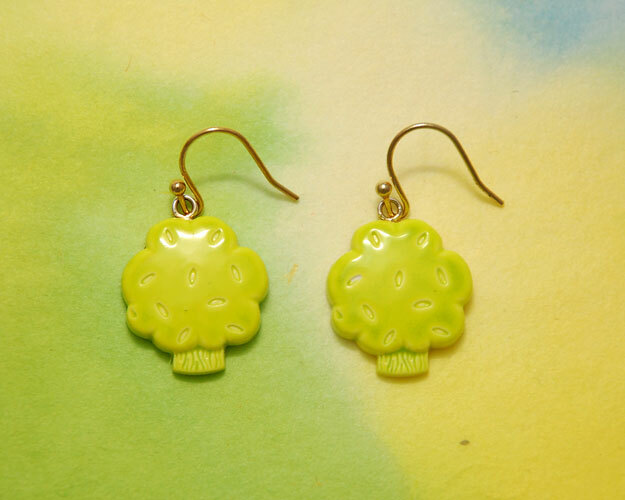 To make them into earrings, I removed the loops at the back of the buttons and sanded down the surface before attaching some metal plates to hang the earring hooks from. They're very light and fun to wear. 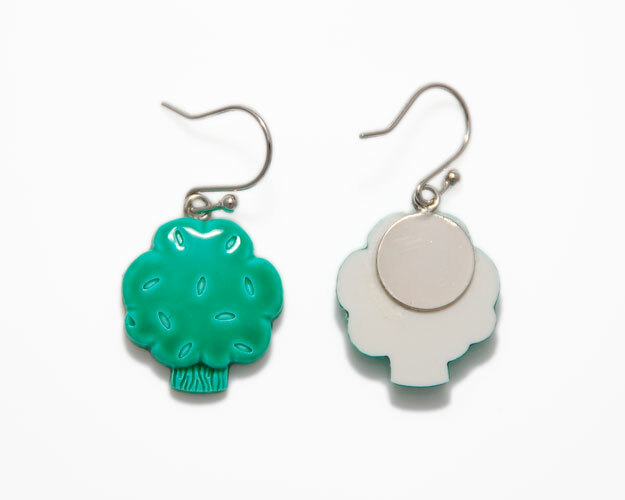 So now I can eat my broccoli and wear it too!